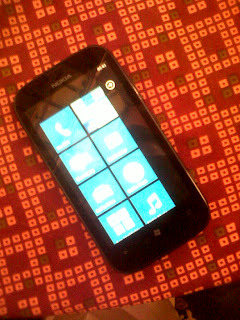 Nokia unveiled Lumia 510 their latest entry in the Lumia series of phones here in New Delhi today. 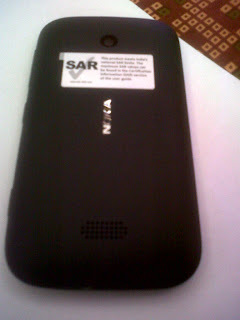 The smartphone running Windows Phone 7.5 will be coming this Diwali in Indian market and will be priced below Rs. 11,000. Nokia Lumia 510 has been optimized for price and is targeted towards the youth who prefer smartphones which are trendy yet in budget. The smartphone packs in a 4-inch capacitive touchscreen with 800 x 480 pixels resolution and 800 MHz Qualcomm Snapdragon processor which provides decent enough power to the phone. Lumia 510 comes with a 5 megapixel AF camera and runs Windows Phone 7.5 which can later be upgraded to Windows Phone 7.8. Coming to memory part, the phone has got 4GB of internal memory along with 7 GB of SkyDrive cloud storage. It will come out in various colors including blue, black, red and yellow. We got a quick hands-on at the launch event today, the smartphone feels good in hand and has nice build quality as all Lumia phones have. The only thing that we think has been left behind is the 1300 mAh battery which comes with Lumia 510, we will have to see if that can be enough for a day. The phone will go on sale this Diwali festive season and other Asian markets like China will be followed soon after.